 I recently attended a psychic reading with a very close friend. She was having problems with her husband and was looking for the answers he would not give her. I have always believed psychics were a scam and went as the “voice of reason”. I was worried my friend was too ready to believe anything this so called psychic might tell her. When we entered her home everything seemed oddly normal, no crystal ball or weird occult artifacts lying around, no neon sign in the window advertising psychic readings… as a matter of fact, we were about 20 minutes early and found her in the kitchen kneading bread dough. This was not at all like the picture I had painted in my mind of what a psychic would be like. We all sat at the kitchen table and began to talk. Kenna, the psychic, still wore her apron and had a little flour in her hair. It felt like sitting down with a good friend or my favorite aunt. We sipped hot tea and my friend began telling Kenna about her concerns over her marriage. Our visit was interrupted numerous times by kids, pets and various family members, but it still felt comfortable and personal. I kept expecting Kenna to start talking to imaginary spirits or get scammy or weird, she never did. She told my friend she was acting like a spoiled brat and her insecurities were caused by her own behavior, which I later found out was absolutely true. My friend had been having an affair with a coworker, Kenna somehow knew her biggest secret. And then Kenna’s attention unexpectedly turned to me. She simply said “You have misunderstood the intentions of the woman with red hair, she is not out to hurt you, she was only trying to help”. I was blown away, I had just had a confrontation with my brothers new wife (who is a red head) because I was worried she was trying to build a wall between me and my little brother. All in all I walked out with a completely different view of what “being psychic” meant and I have made another tea date to talk with Kenna by myself.  She is not an “online psychic” and takes new clients by invitation only, but it is worth a try to get an appointment with her. I do not have an email address for her but I wanted to share her number 425 314 7752. She is such a neat lady, I can’t wait to visit with her again next week.